Rosette channels cut, awaiting the rosette material. Clamping and gluing in the rosette. The rosette installed. Now it needs to be scraped down and the top thicknessed. 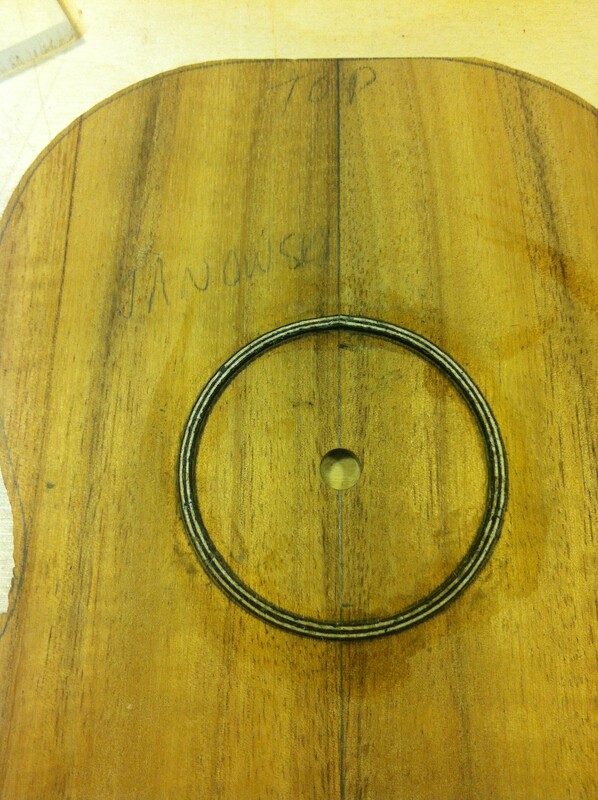 The soundhole being cut out. After everything is done, I saturate the rosette with thin super glue, just to be safe! That's what you are seeing in the picture. 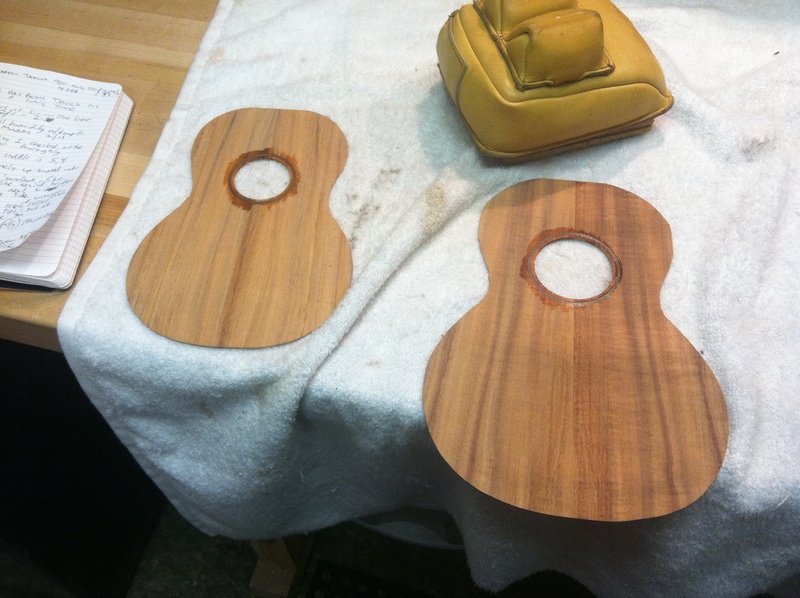 Im currently building 2 koa ukuleles, one small and one not-so-small. The small one is very much like a 40's Martin soprano. The bigger one has a tenor scale, but the body is between a concert and tenor in size. 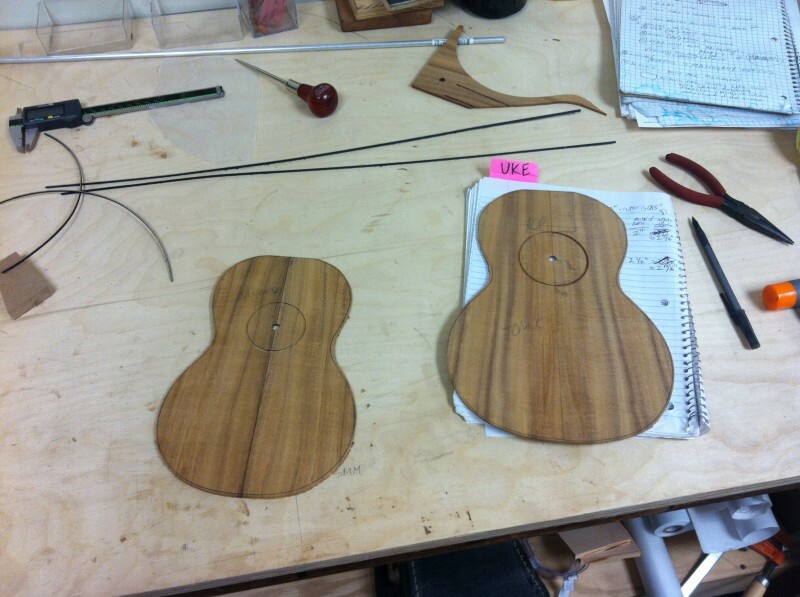 Illustrated in the pictures are rosettes being cut, installed and glued as well as the sound hole being cut out. 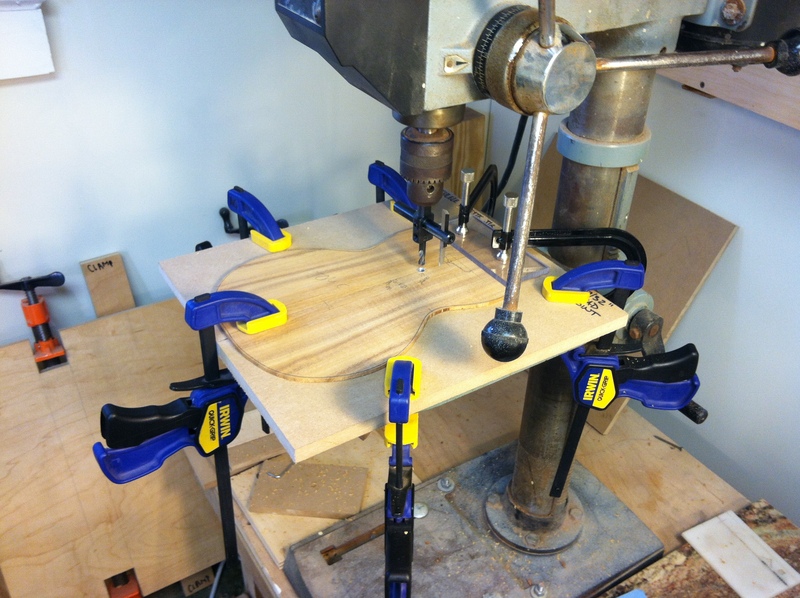 I made the little jig to hold the tops using a 9/32" piece of tubing cemented into a piece of MDF. 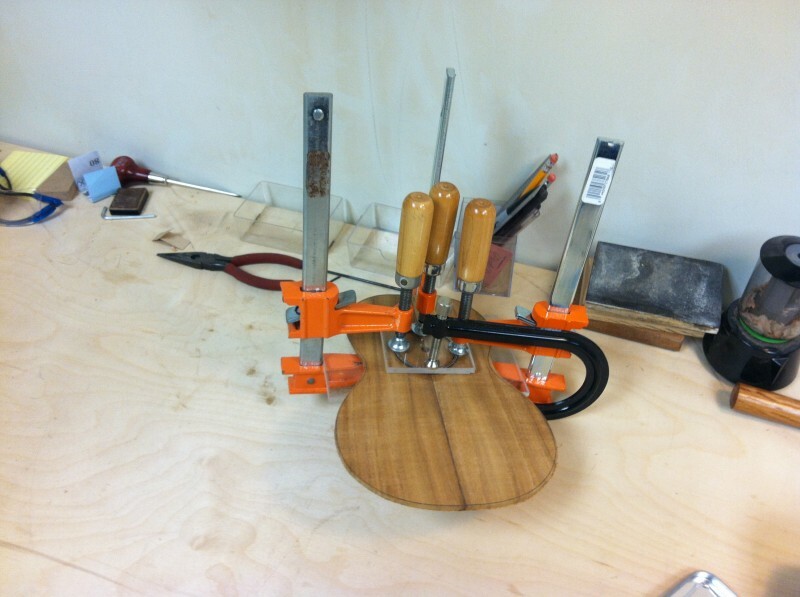 This "locks" the top into the jig and keeps the cutter head on center. I milled the cutter on one side down to the width of my rosette and sharpened the cutter like you would a chisel. 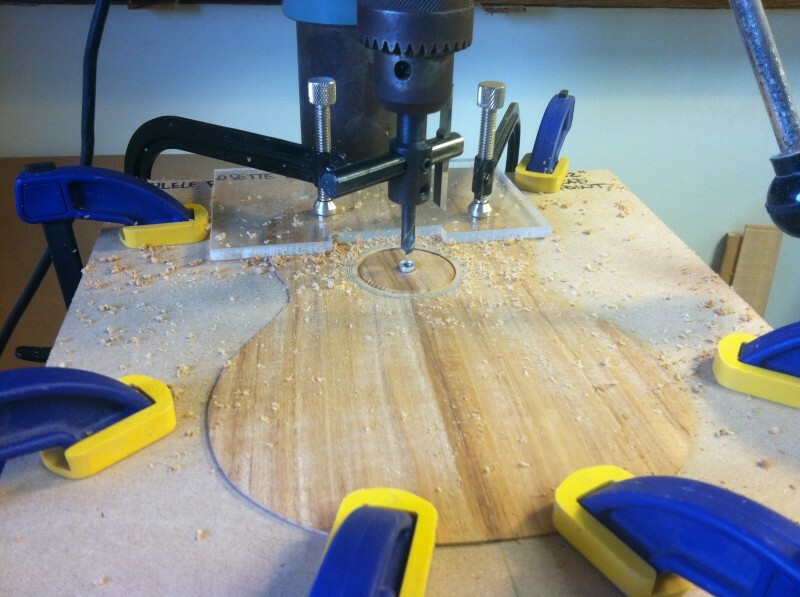 The other side of the cutter is then used to cut out the sound hole.